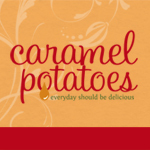 Caramel Potatoes » 2-4-6-8 Who Do We Appreciate – Teacher Appreciation Ideas! 2-4-6-8 Who Do We Appreciate – Teacher Appreciation Ideas! Teachers are a special breed if you ask me. I am always amazed at the dedication and love that each teacher always seems to demonstrate towards each child in their class. They have a special gift and I just don’t have it. I often think as I volunteer in my kids’ classes and watch the way their teachers teach and interact with their students that they are a better person than I. I thank all teachers everywhere and I love to show my appreciation all year long. However, next week is teacher appreciation week at our school and so I have searched pinterest tirelessly looking for the perfect ways to show our families appreciation to our teachers. These are some of my favorites and I am so happy to share them with you. Check out this awesome Target Gift Card holder for your child’s teacher from landeeseelandeedo.com. Who doesn’t love a Target Gift Card? I would never turn one away. Of course I always love gifts that have to do with anything in the kitchen and how fun is this idea from gigglesgalore.net. You can even print the adorable recipe card and write a favorite recipe for you favorite teacher. Thank you for including our Recipe for Success teacher gift, it’s such an easy and thoughtful way to say Thank you!